Contact: Ms. Cheryl Solosky, P.E. 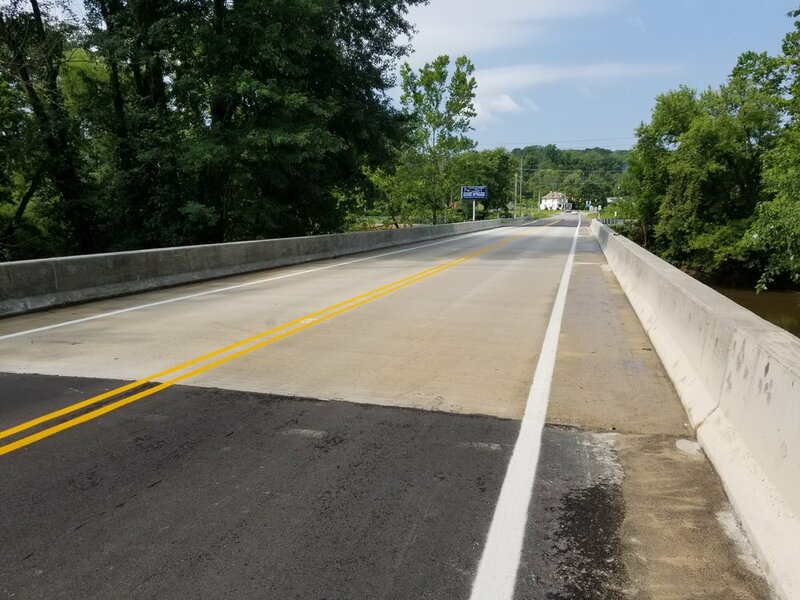 Beaver County- The project consists of the replacement of the existing single span steel I-beam bridge carrying SR 3026 (Gas Valley Road) over Branch of South Fork of Tomlinson Run with a precast concrete box culvert. Minor approach roadway work was also part of the design-build contract. Beaver County - This project is the preservation of an existing nine-span steel girder bridge carrying a local road (owned by the City of Aliquippa) over S.R. 0051 NB, tracks of CSX Railroad, and various local streets. The preservation activities include bearing replacement, concrete repairs, superstructure retrofits to convert several simple spans to continuous spans, and partial deck hydrodemolition and latex overlay.